Potentially thousands of male inmates who while being detained at the Cook County Jail were found not guilty, acquitted, or had their charges dismissed between April 27, 2010 and the present may be eligible to take part in a class action lawsuit against the Cook County Sheriff's Office. 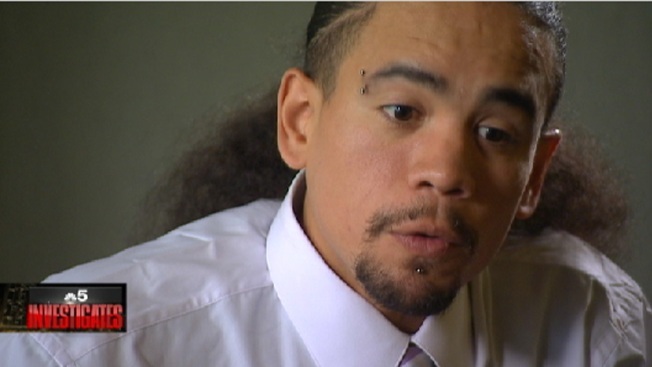 Brian Otero alleges that following his acquittal on a burglary charge in 2011, and despite the fact that he had no other pending charges or warrants against him, Cook County Sheriff's officers placed him in handcuffs and detained him in a number of different holding cells and within the general prison population while his discharge was being processed. Otero said while he was detained after the acquittal, other inmates punched him in the face and body after they learned he would be leaving jail. He said he was finally released nine hours after his not guilty verdict. Brian Otero was acquitted on a burglary charge but was still sent back to jail because his paperwork still needed to be processed. NBC 5's Investigates Chris Coffey reports on what Sheriff Tom Dart calls an "antiquated" paper system that could end up costing Cook Co. taxpayers millions. "It doesn't matter if I have a criminal background or if I'm a convicted felon," Otero told NBC 5 Investigates last year. "I'm a human being and I should be treated like a human being." Otero later sued the Cook County Sheriff's Office. In court papers, Otero argued the Sheriff's Office does not segregate or otherwise treat the acquitted male detainees differently from the other inmates. United States District Judge Amy J. St. Eve has since granted Otero's motion for class certification. According to the court order filed Sept. 2, a class action is "the superior procedure for litigating these clams because the Court can determine the legality of the alleged practice and procedure in one proceeding." A spokesperson for the Sheriff's Office told NBC 5 Investigates in an earlier interview that the office acknowledged the "complicated" discharging system and that discharging people efficiently continues to be a priority. According to Sheriff's Office deposition, it takes six to 12 people to look at a judge's order to determine if someone will be discharged. Then a warrant background check is performed. Sheriff's personnel manually review about 30,000 pieces of paper a week regarding detainees to and from court. Sheriff Tom Dart has called it an "antiquated" paper system that has yielded numerous clerical errors that could have been avoided with a digitized system. The Sheriff's Office previously said it is prioritizing efforts to get people out sooner, but not at the risk of public safety. Female detainees who are found not guilty are segregated from other inmates and are given the option to either remain in the receiving room or return to their jail cell while they are processed out, according to court documents related to the class action.